This is it. Everything changes forever, in the shocking finale to “Before the Dawn”! The truth about The Boss is finally revealed! Arden and the Bishop meet face-to-face, while Piper and Marcus confront their trust issues, and Colin takes a trip to see his boss. While the Bishop moves forward with his mysterious agenda, the realities of Arden and Piper’s relationship come to a head. As Marcus and the Bishop’s fight continues, the fall-out from Piper’s revelations continues to work its way deeper, unraveling the very heart of the Tricksters. 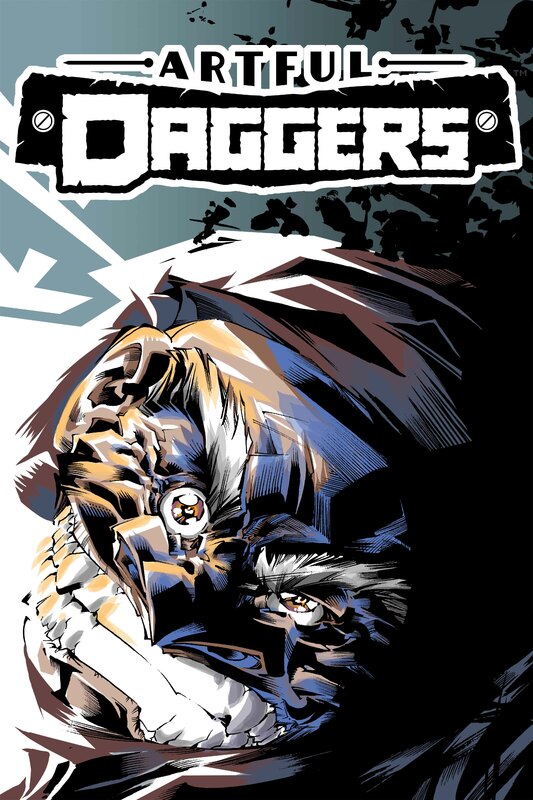 Marcus confronts a new adversary while on a mission, while Piper’s revelations begin unraveling the Tricksters. Business as usual turns into a series of revelations that threatens to finish the Tricksters once and for all. 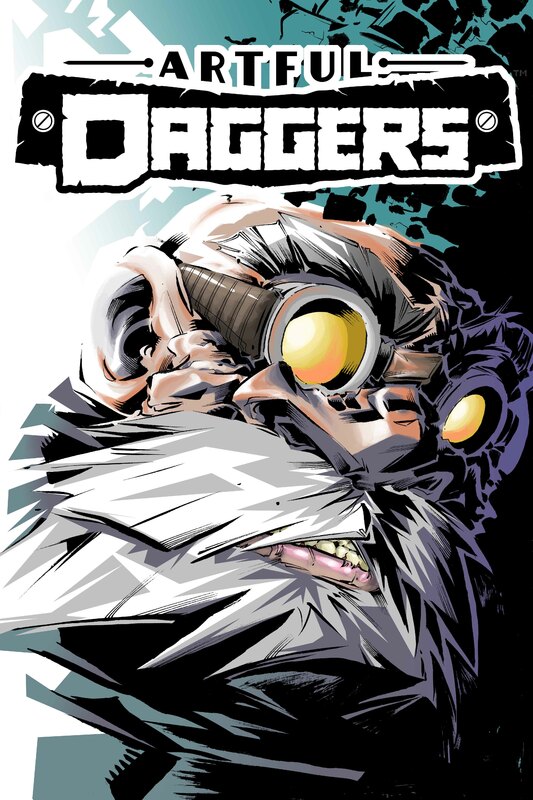 Artful Daggers Heads to Print! With smash hits like Edison Rex and Amelia Cole, MonkeyBrain Comics and IDW Publishing have established a new precedent for comics moving from digital to print. 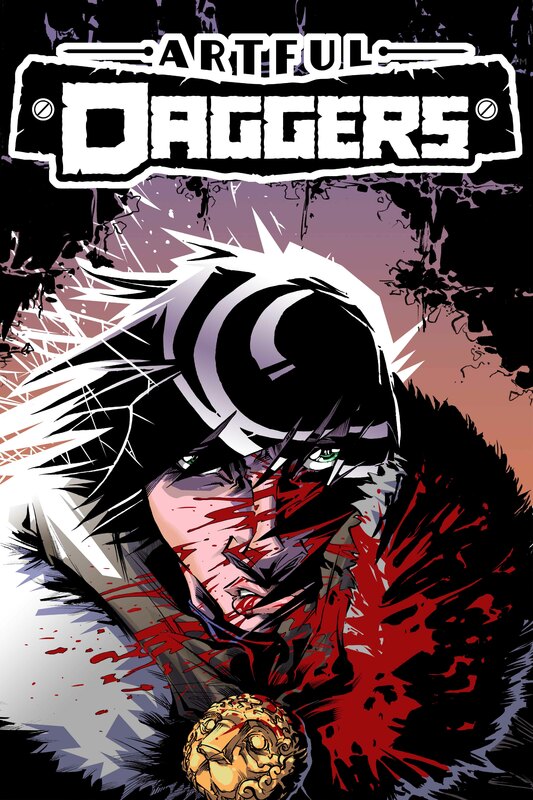 After success being serialized digitally, these great titles get handsome collections, meant for the traditional comic and book markets. 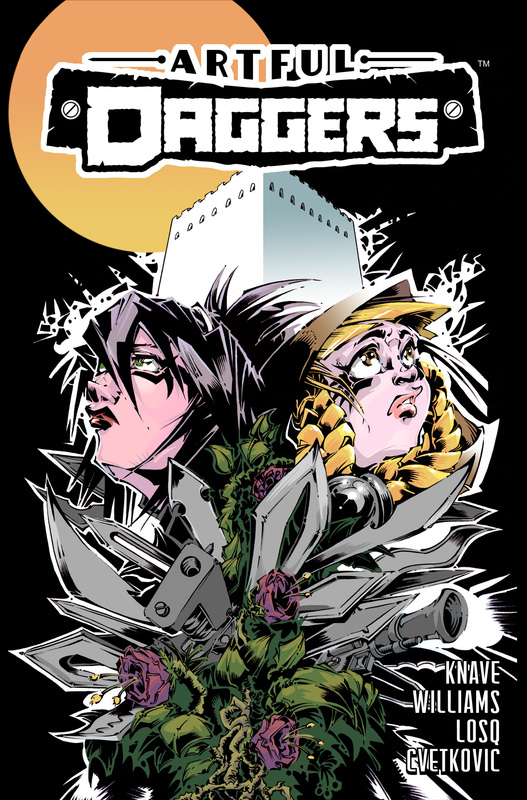 The next title to find a whole new audience in print will be Artful Daggers: Fifty Years Later, scheduled to hit shelves in March 2014. 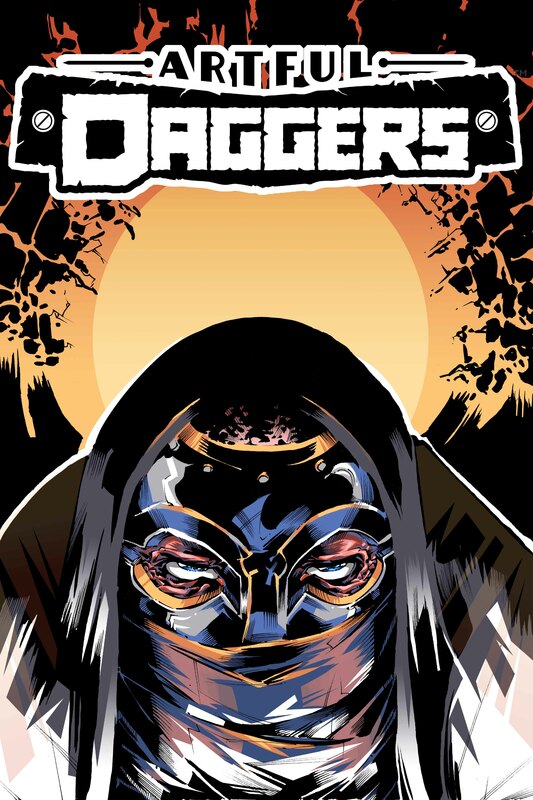 The relationship between digital and print comics moves into the future, IDW and MonkeyBrain remain at the forefront, releasing quality title after quality title, and Artful Daggers is no exception! In the aftermath of devastating the attack on the Warren, who is left standing, and whose side are they on?